The traditional story is not without merit. Firstly,for Joseph to return to Bethlehem with a 9 month pregnant wife who was pregnant before they were married was likely still a social embarassment. Until he was instructed by God in a dream that the child was “of the Holy Ghost” (Matt.1:20), Joseph intended to “put her away privily” (vs.19). Nevertheless, such an explanation would be looked upon cynically by others, especially family. Joseph might well have decided that it was prudent to not stay with family, perhaps not even meet with them to avoid scandal. In those times and in small villages, gossip would have been rife. Perhaps even an innkeeper would be aware of the gossip. Moreover, a woman giving birth was ceremoniously “unclean” for some time, and any inn putting her up might have been unhappy to have their room (or even the whole establishment) also pronounced ceremoniously unclean for a period. Maybe this better explains the use of the manger. Secondly, donkeys were not the exclusive transport of kings…they were common beasts of burden, even to the point of abuse, if we read the story of Balaam. The fact that a king might ride on a donkey doesn’t mean that no-one else could. It’s probable that kings riding on donkeys were symbols of “coming in peace”, as in times of war or conquest it would be on a horse or chariot. 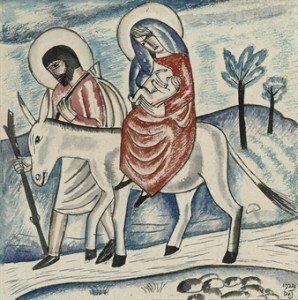 Although it is assumed Joseph may have been too poor to have a donkey, nevertheless he was not a young man. Under Jewish tradition, he would not have been allowed to marry unless he could provide a house for his wife at least. He also could have borrowed a donkey. For a near-term pregnant wife to be forced to walk to Bethlehem is an unlikely scenario.